Dark Winged Warrior Sephiroth Help? I think I just don't entirely understand this game. So I'm all caught up on the story. Story missions at this point are embarrasingly easy, zero challenge. I'm doing the Dark Winged Warrior event now, had to use a couple continues on Cloud and Hades, but whatever. I get to Sephiroth and Can't even damage him. All of my hits are just 1s. Correction. I messed with my medals once and one of my Leon medals damaged him a little bit. Moved the order around though, and then Leon wasn't doing damage anymore. I'm sure it has something to do with buffs and debuffs, but I'm just not figuring this fight out and I'm not really finding any help from google OTHER THAN a bunch of other people calling the fight laughably easy, and it's frustrating. I admit it, I'm genuinely missing something here. I don't know what Keyblade or medals you are using, so I'm just gonna give some general tips and hope some work for you. 6) you don't have -ground defense traits, but that's for high level events like Hades cup or the Data ORG XIII fights, so it's not your case. 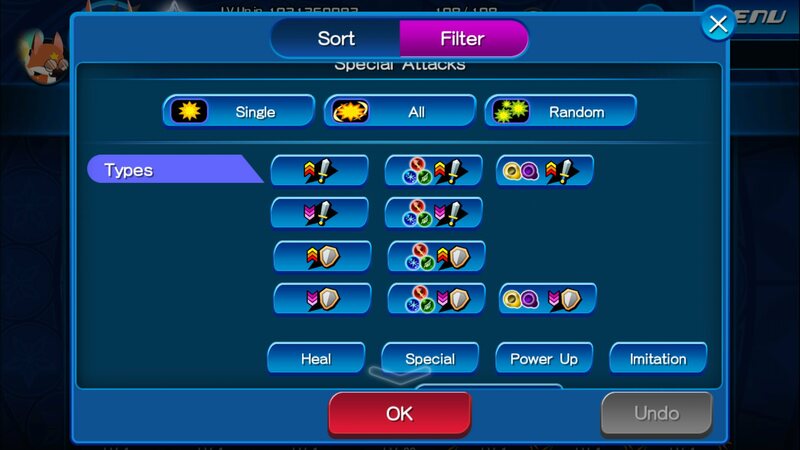 Overall, be sure to check what buffs and debuffs a medal gives, prioritize General/Upright or Reverse/Power, Magic or Speed Attack buffers at the start of the Keyblade while also looking out for General/Upright or Reverse/PSM Defense debuffers on enemies, they make all the difference.